Robert J. Fitrakis is a professor of political science at Columbus State Community College and a lawyer. He publishes and edits the Free Press, a quarterly journal of opinion and news analysis. In 1992, Fitrakis was the Democratic candidate for Congress in Ohio’s 12th District. 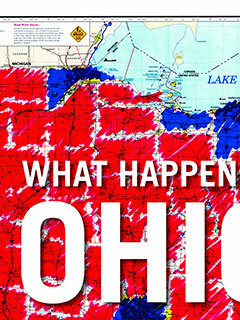 He is a co-author, with Steven Rosenfeld and Harvey Wasserman, of What Happened in Ohio? : A Documentary Record of Theft and Fraud in the 2004 Election (The New Press). He lives in Columbus, Ohio.